← Bénichon: a Tradition of Giving Thanks in the Fribourg Region. 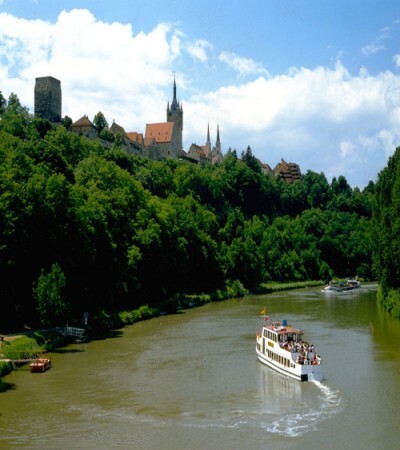 Germany – The castles and historic towns of Heidelberg, Nuremberg and Rothenburg ob der Tauber are only a few of the highlights on the Castle Route, which runs 750 miles from Mannheim to Prague. It takes visitors straight into the Middle Ages, always on the trail of kings and princes, knights and romance. Over 70 castles and palaces as well as costume performances at festivals, courtyard markets and medieval banquets await! Follow this link for further information…. We at Luxury Traveler subscribe to the notion that "true luxury is the wealth of one's experiences." As such we focus on the finest European arts, cultural & LifeStyle pursuits as well as the talented individuals who bring them to life. This entry was posted in Arts / LifeStyle / Travel. Bookmark the permalink.